Here's where you'll find important links to the information you'll need to get your child ready for camp! What you'll need and where to find it! 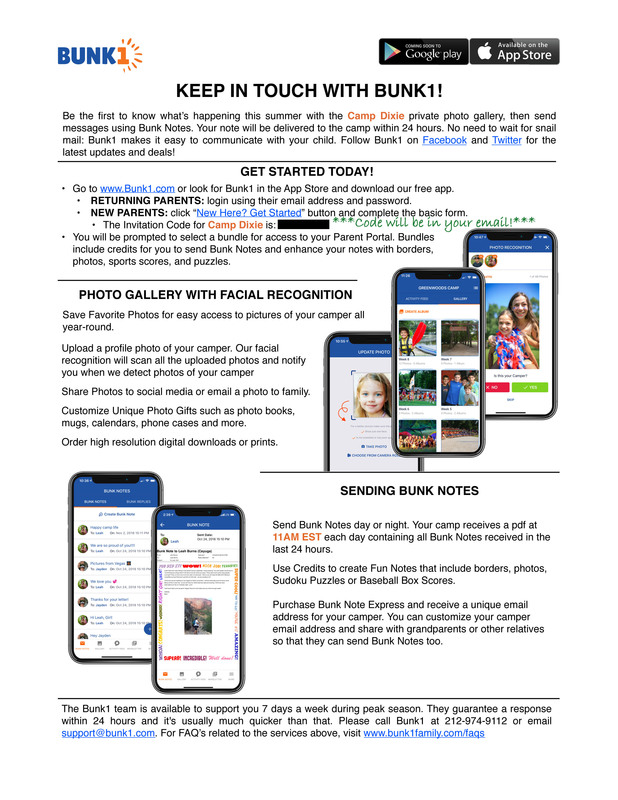 Parent_LetterNOCODE_-_BUNK1.jpgQuick Access to the Summer Camp Information you Need! Online Registration/Parent Account | Go directly to the online registration site and log in with your account. Parent Information Booklet | This booklet contains everything you'll need to know about summer camp: arrival/departure times, a packing list, explanation of forms/policies, mailing information, and so much more! You can either print it out, or simply refer to it is needed. A physical must be completed by a doctor and turned in every 2 years. This form is in addition to the online Health History Form that is completed annually by a parent. Physicals can be turned in via mail, email, fax, or uploaded it to your online account. The Health History Form must be completed online every year by a parent. The form can be completed by logging into your parent account and is listed under the required forms section. If you get interrupted while filling out a form, simply hit SAVE and you can come back and finish it later! The information will be used to make sure we are prepared to meet the special needs of your child while attending summer camp. The Inclusion Form can be completely filled out online! Simply log in to your parent account to see the forms needed for your camper.